On Saturday 6th April 2019 I’m performing live at St Mary The Virgin Church, Bottesford. Proceeds will be donated to the Food Bank. TICKETS HERE.  I have a special link to this church. When I was very young my parents rented a semi detached cottage in Bramshill, Berkshire without gas, electric or running water. Our solitary neighbour was Marcus Paul Dare. Paul – as he was known to us – was unusual to say the least! His clothes were theatrical, and his house full of the most fascinating and exotic things, including a human skeleton. My only youthful memory of him was when I was attacked by a dog which almost took my ear off. When I returned from hospital Paul took me into his house and made food for me in case I was hungry and he made me a small stool for when I needed to sit down. I remember the police coming to take him away. I thought at the time it was because he had some silverware that didn’t belong to him but found out later it was more likely to be books. papers that came to me after his suicide in 1962, I learned so much more about his research into the history of Leicestershire, of the Knights Templars and Richard DeBellis. 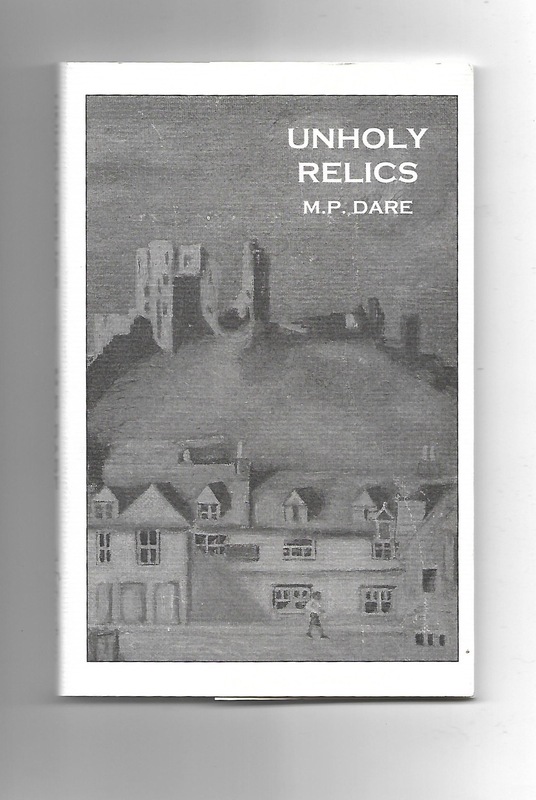 In the 1997 I was contacted by The Ash Tree Press, a Canadian publishing company specialising in M.R. James style literature, Ghost Stories. And they were asking me for permission to reprint Paul’s collection of stories, Unholy Relics. Until this point I had no idea Paul had left the rights of his work to me. Of course I gave my permission on the condition that I could write the introduction to the reprint. The research involved led me on a fascinating journey through the history of this clever and fascinating man. 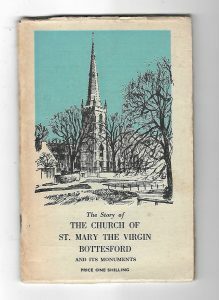 During my research I came across Paul’s church guide “The Story of THE CHURCH OF ST MARY THE VIRGIN BOTTESFORD and its monuments”. 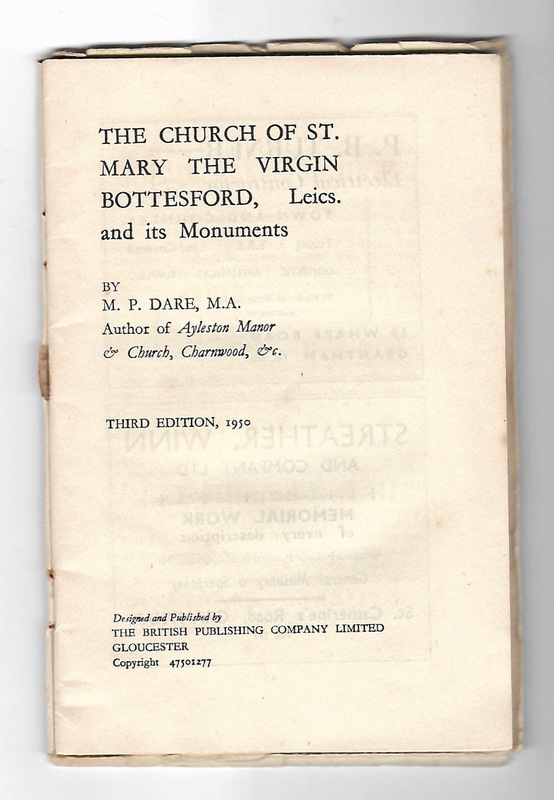 When I saw that this small book had gone to many editions, possibly Paul’s most successful work in print! I must confess my first thought was I wonder if I’m owed any royalties! 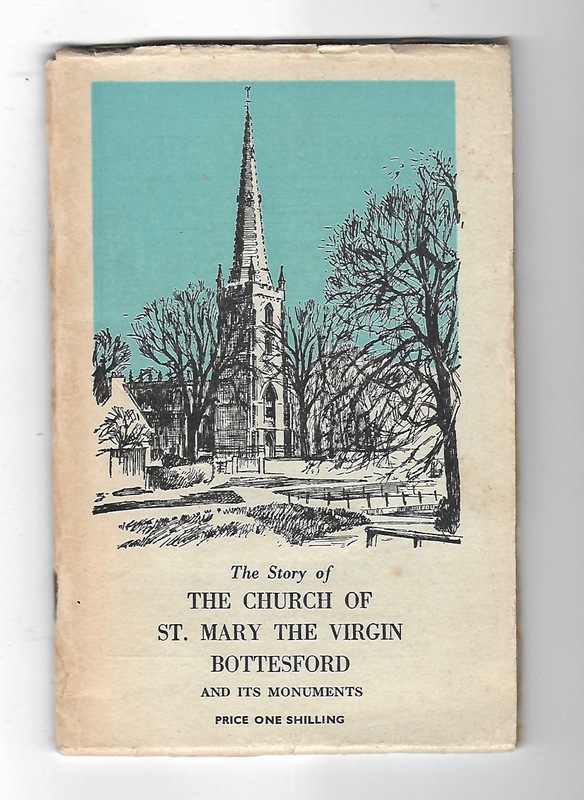 The back jacket of the book announces the existence of a further 300 similar church histories in print, but I doubt any include anything as sensational or lurid as Paul’s re-telling of the story of The Witches of Belvoir.